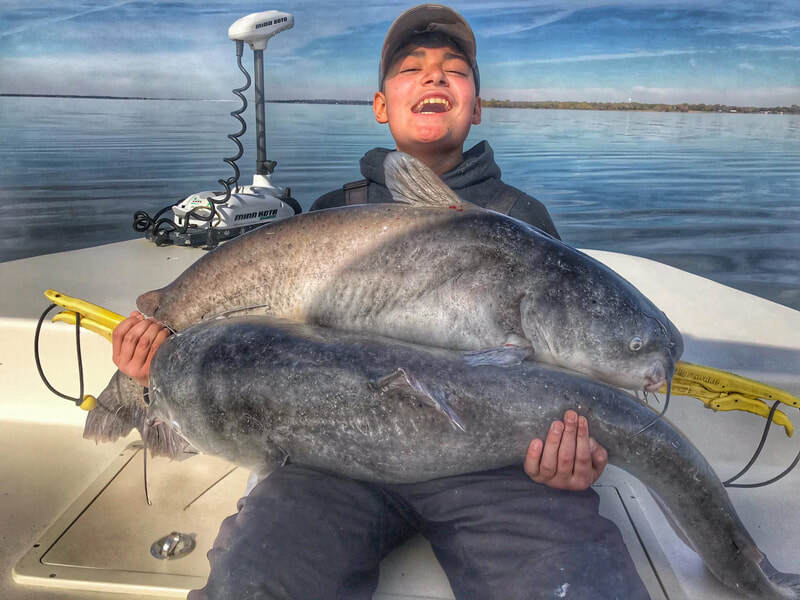 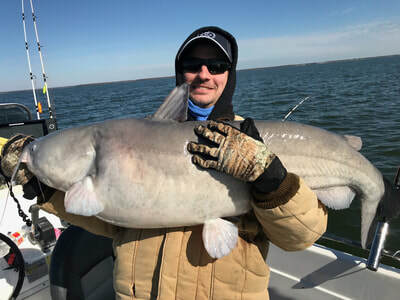 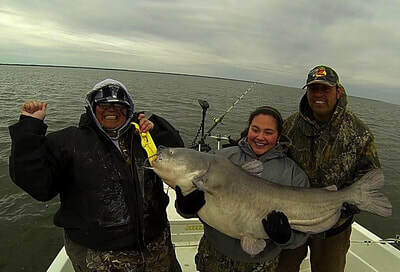 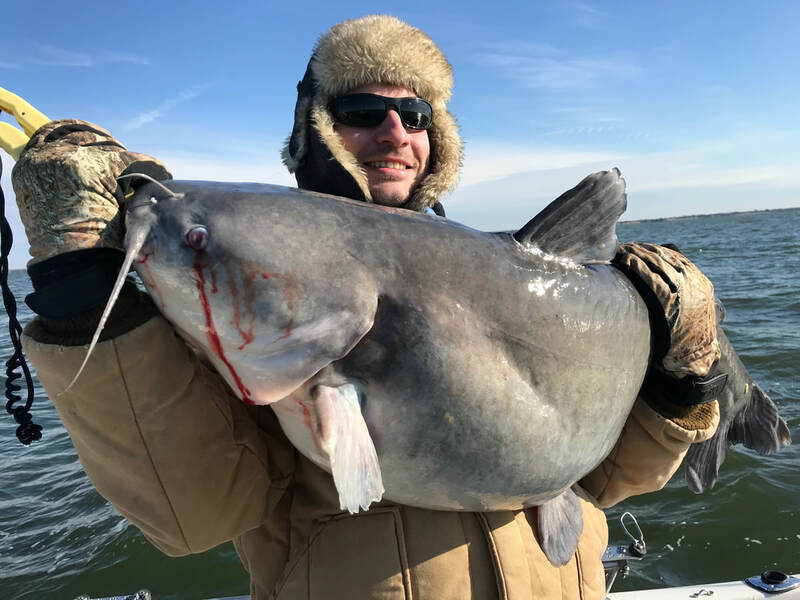 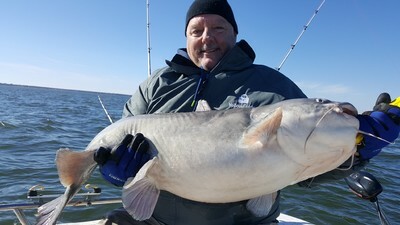 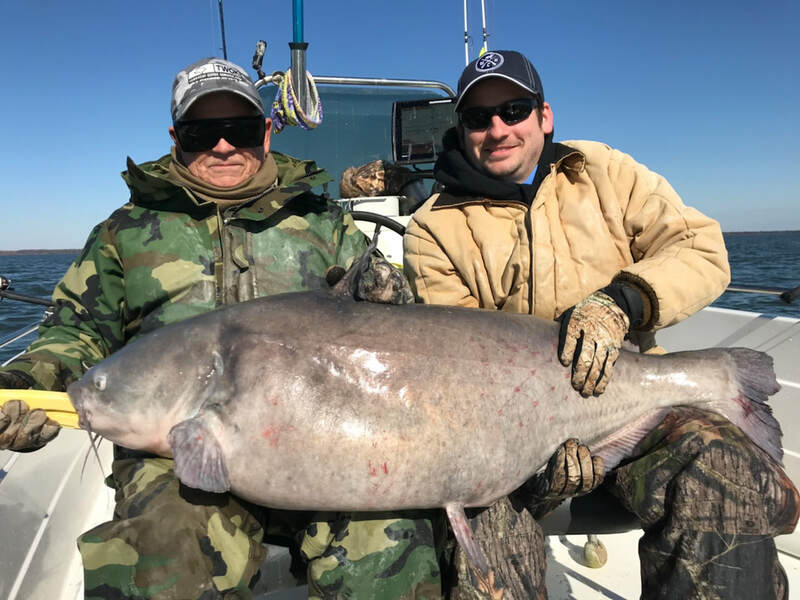 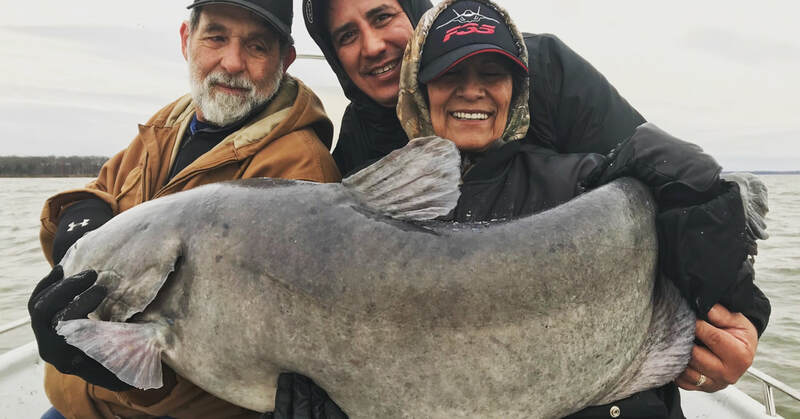 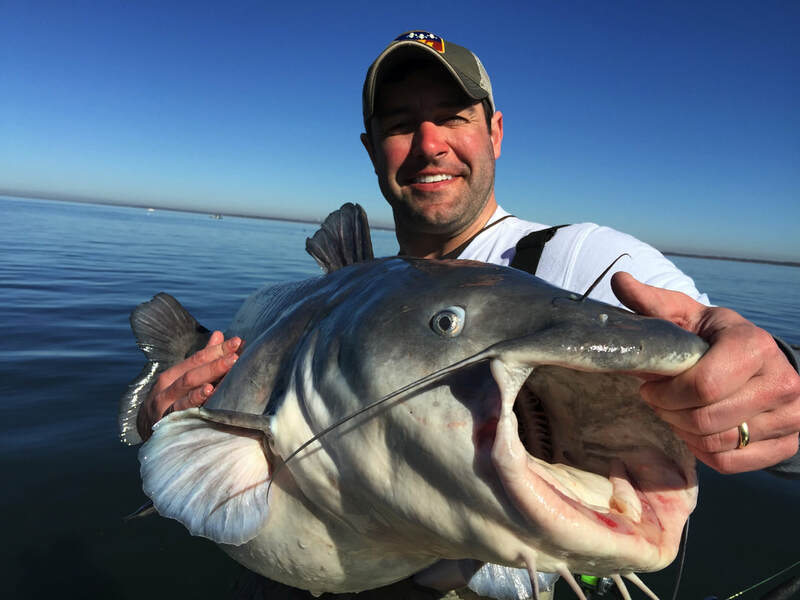 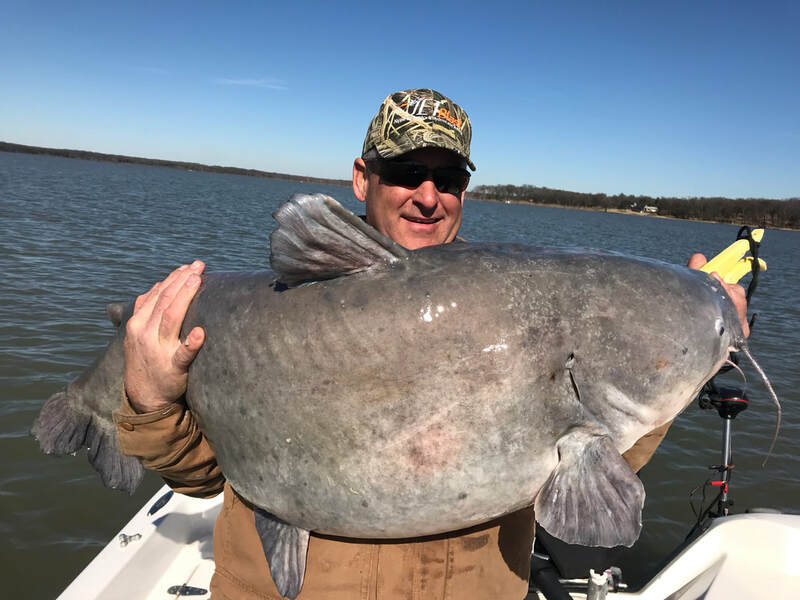 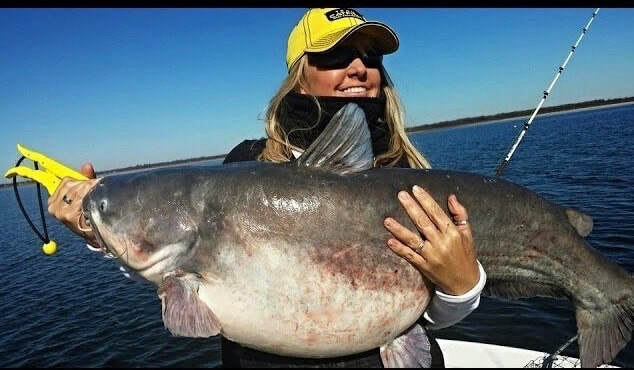 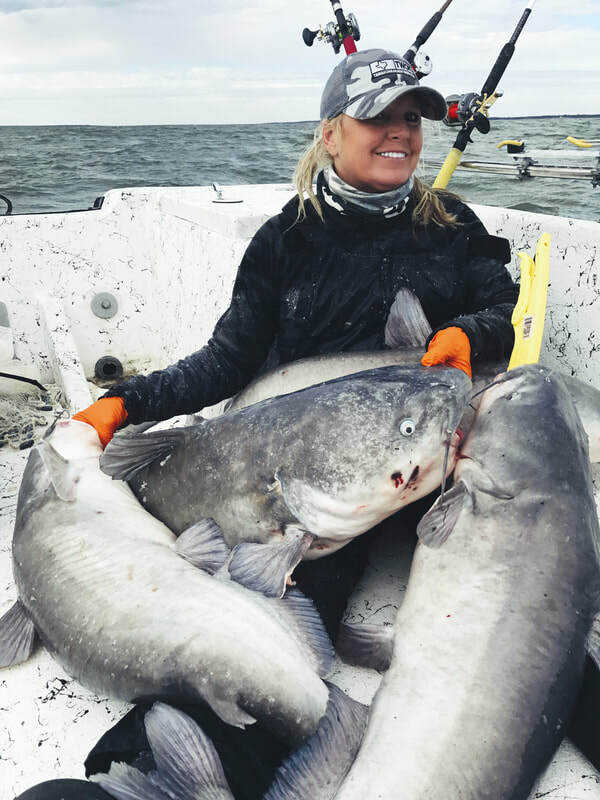 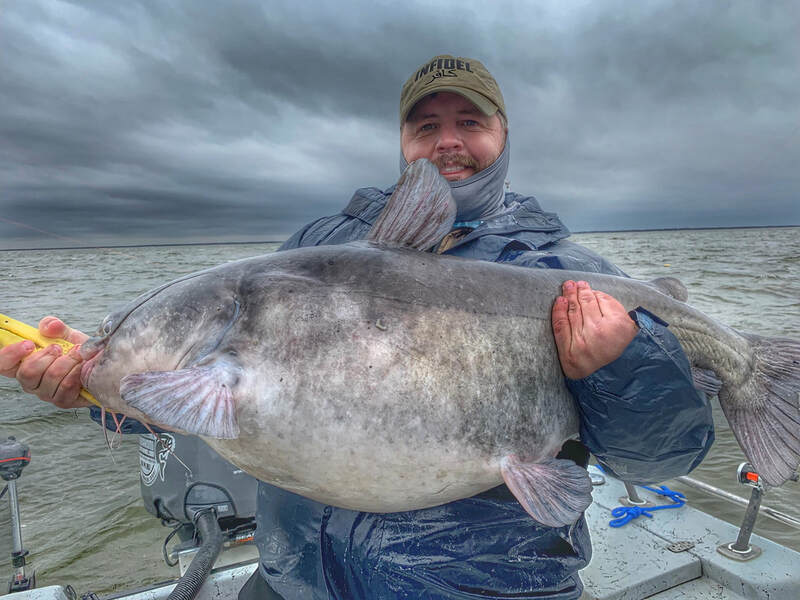 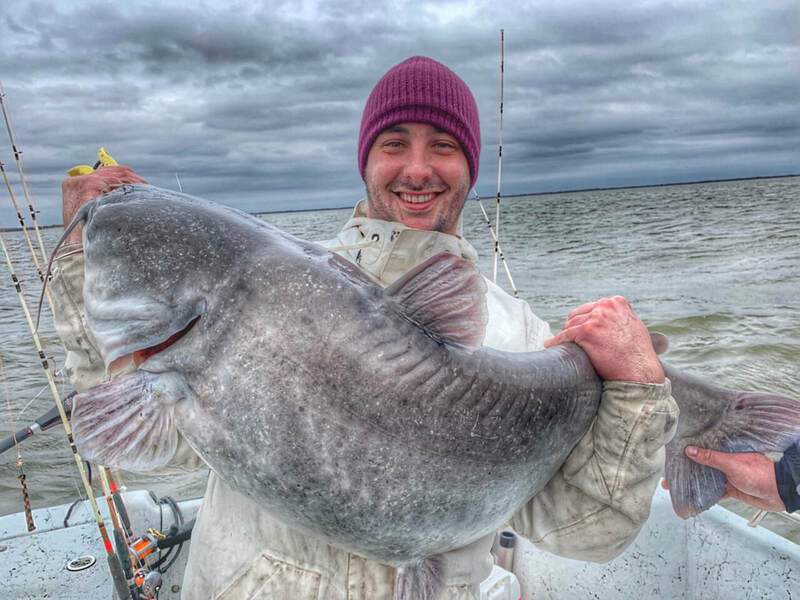 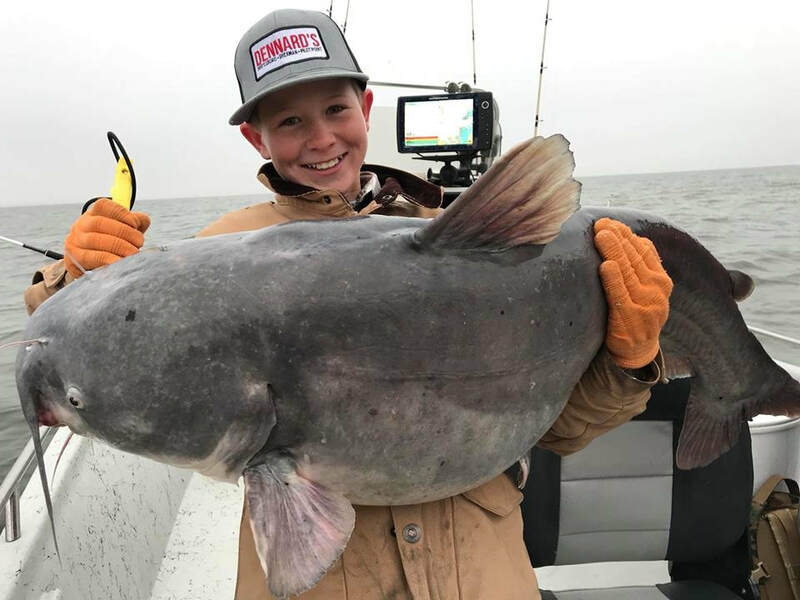 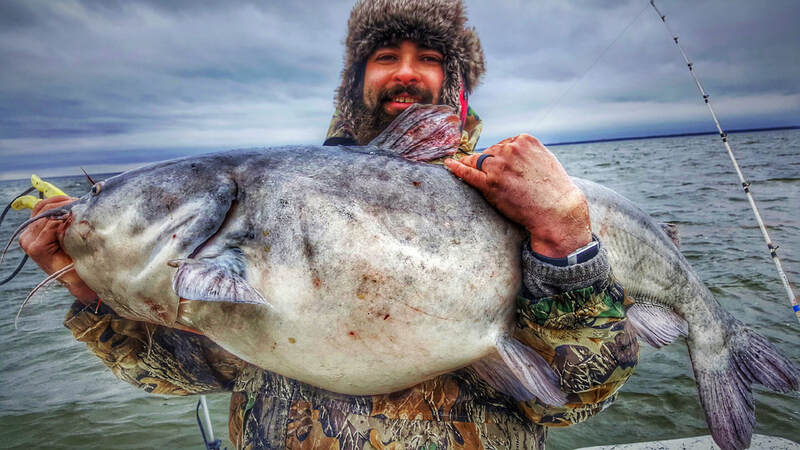 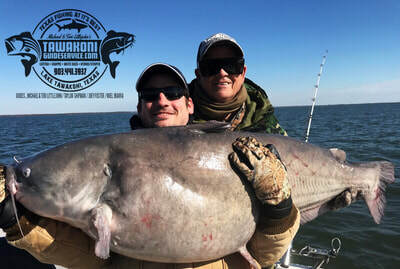 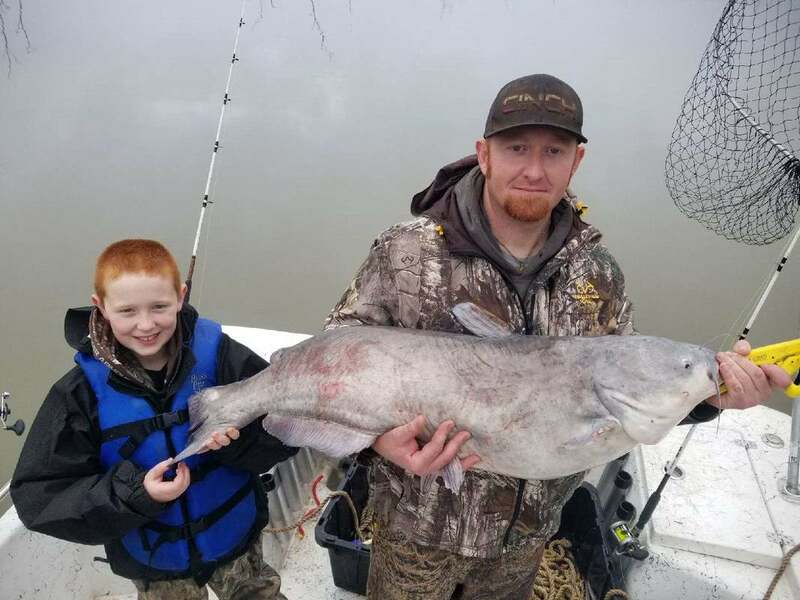 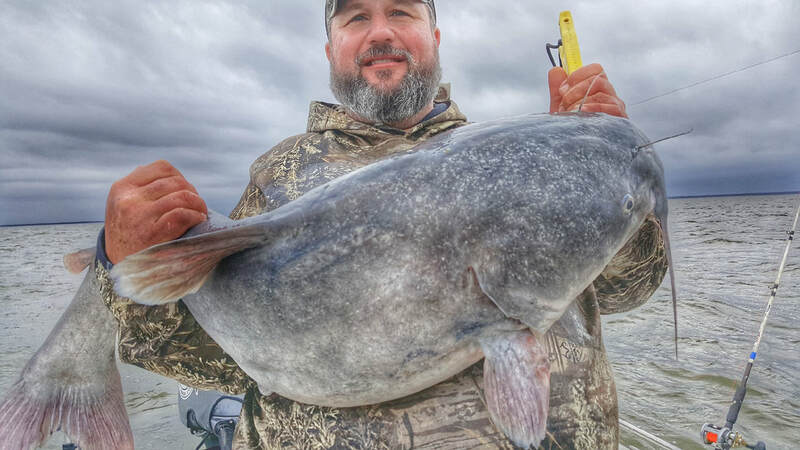 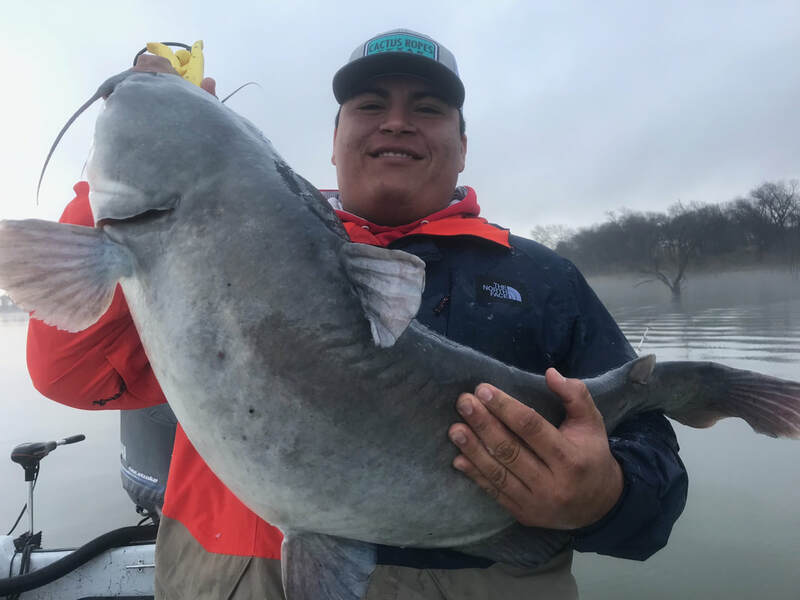 Our customer Jody Jenkins from near the Texas/Oklahoma border fought and landed which is now the official ALL-TACKLE Lake Tawakoni Blue Catfish Record. The fish weighed 87.5lbs and was an incredible fish. 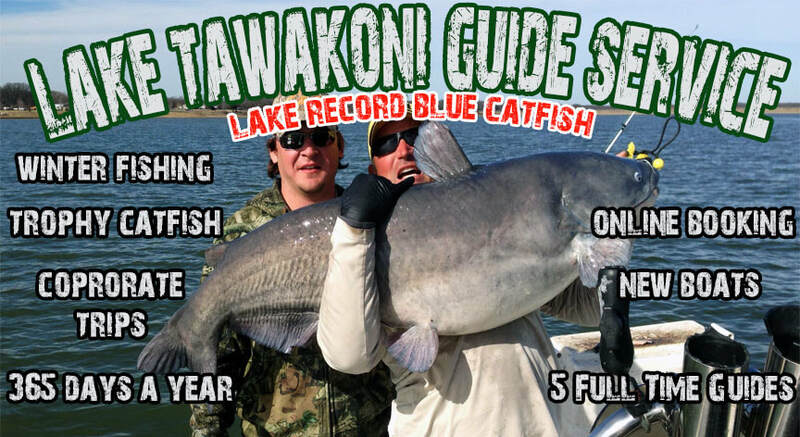 Lake Tawakoni is a World Class Fishery, from November thru March we chase the Mighty Trophy Blue Catfish. 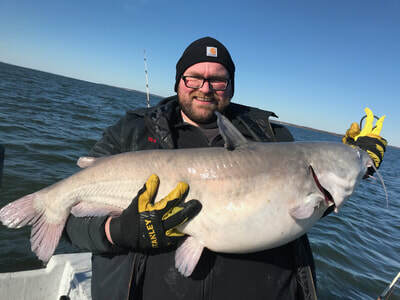 We feel very confident that our Guide Service gives you the absolute best chance to land a Trophy Blue Catfish here at Lake Tawakoni. 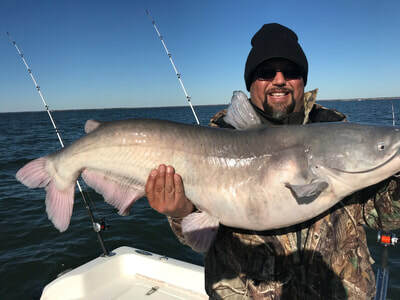 A Trophy Blue Catfish is 20lbs or larger and is caught on rod & reel. 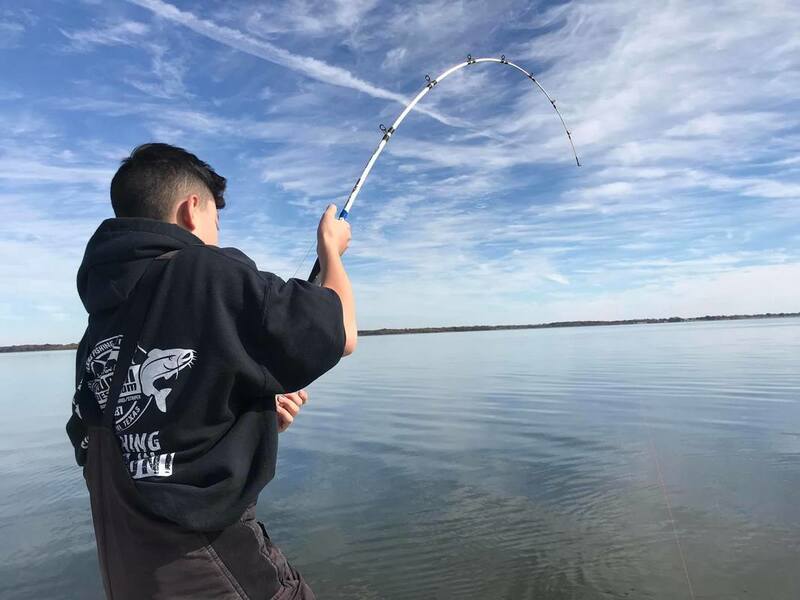 In freshwater, there is no other fish that can come close to the drag stripping, rod bending action these fish give. 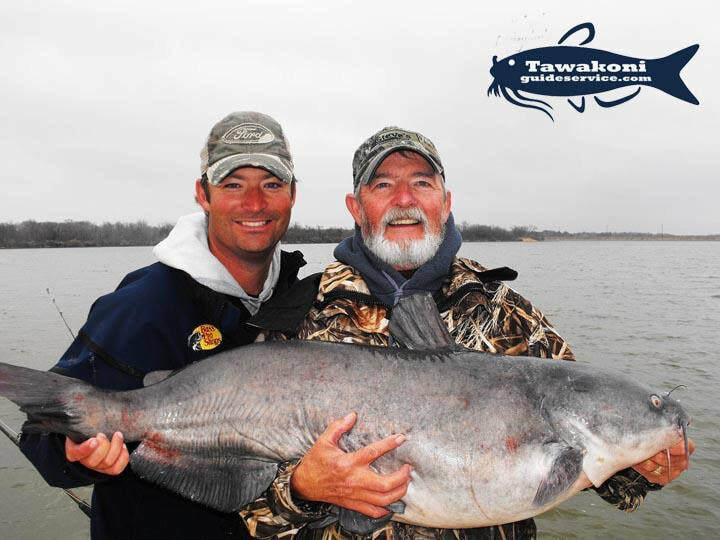 We fish with customers from all over the world to do one thing, Catch and Release this amazing fish. 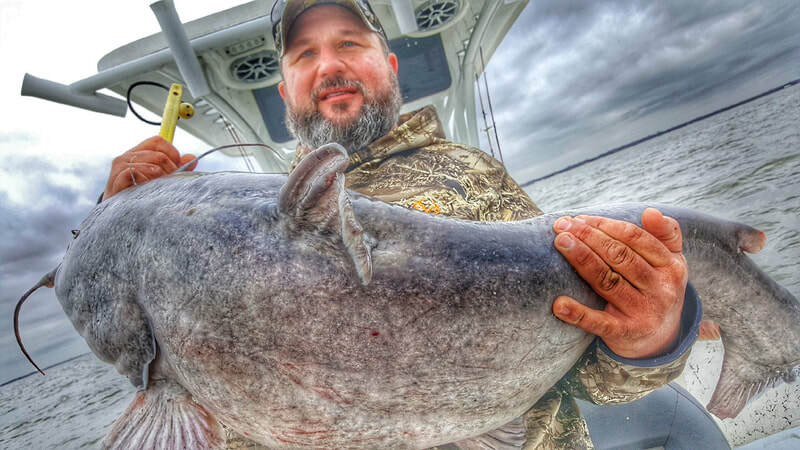 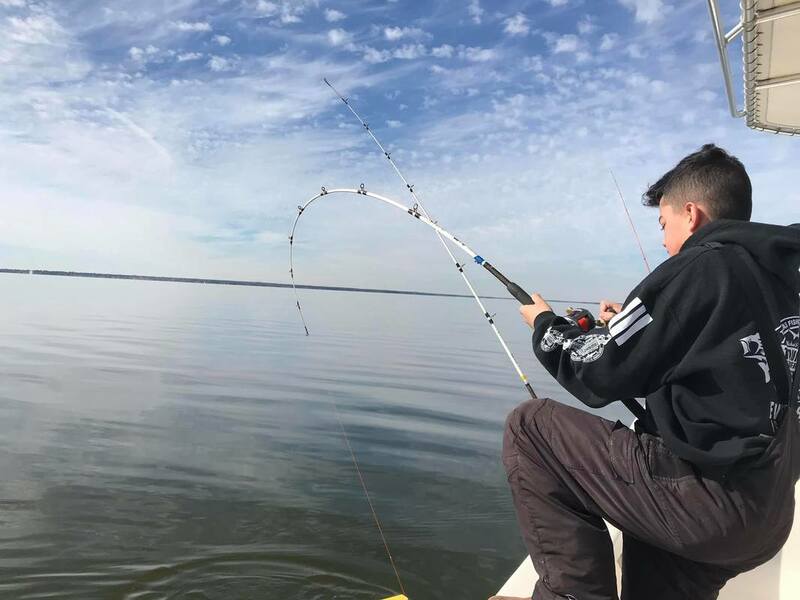 If you have never visited Lake Tawakoni to put your luck to the test, Book Now and see what it is all about. 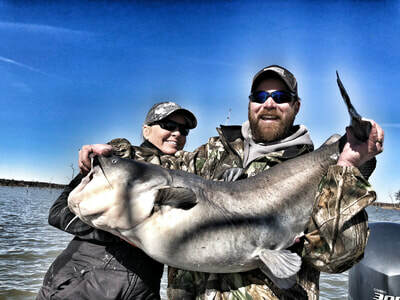 Over the years, we have converted several bass fishermen to blue cat fishermen. When the bite slows down for other fish, the cold weather instigates these powerful fish to feed hard and bite! 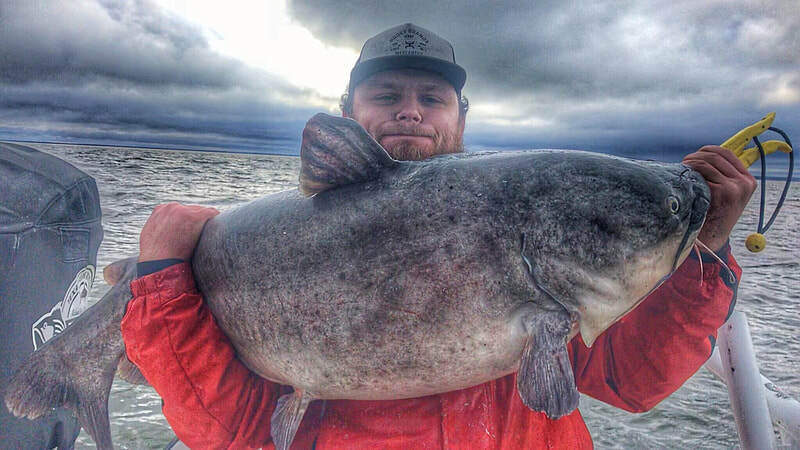 Check out our Catfish Photos to see what we catch in the winter.